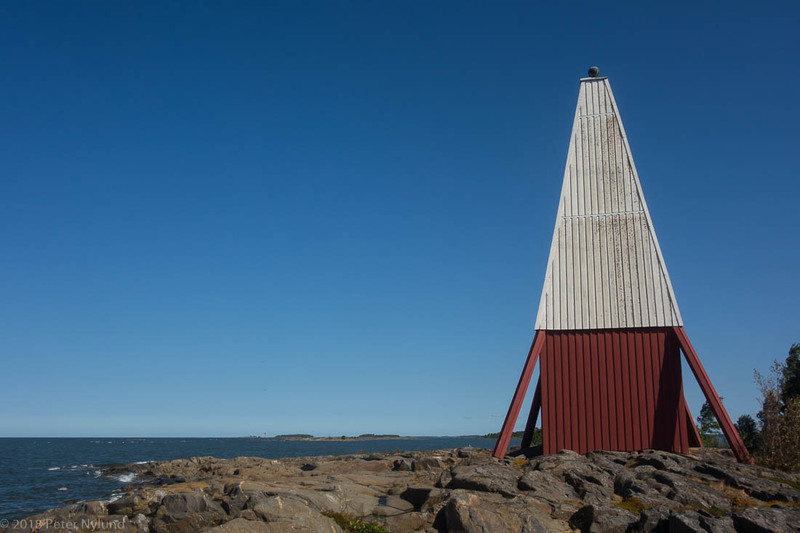 Starting from Härkmeri, the daymark at Torngrund quickly becomes visible. 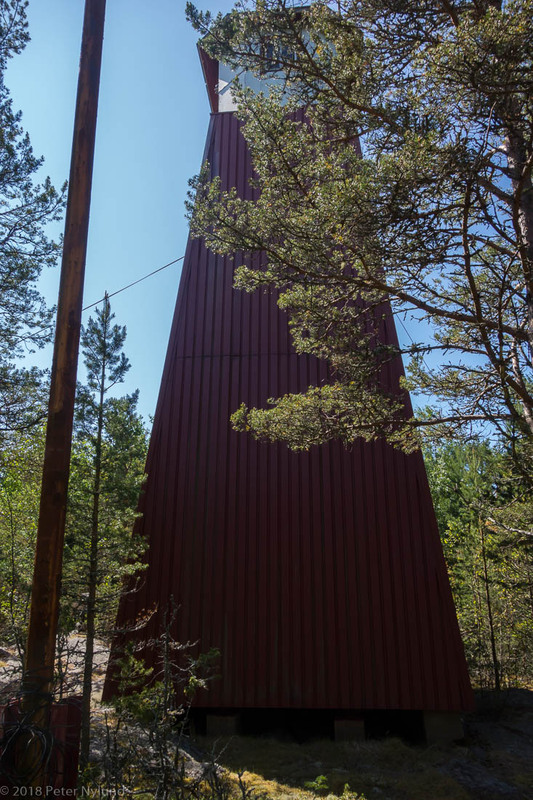 It has a shape that is fairly typical for the wooden daymarks in Ostrobothnia and has white sides visible from sea and a red color when approaching it from land. Some sort of sea mark was present in the place already four hundred years ago, and 1798 a daymark like the on Rönnskär was built. 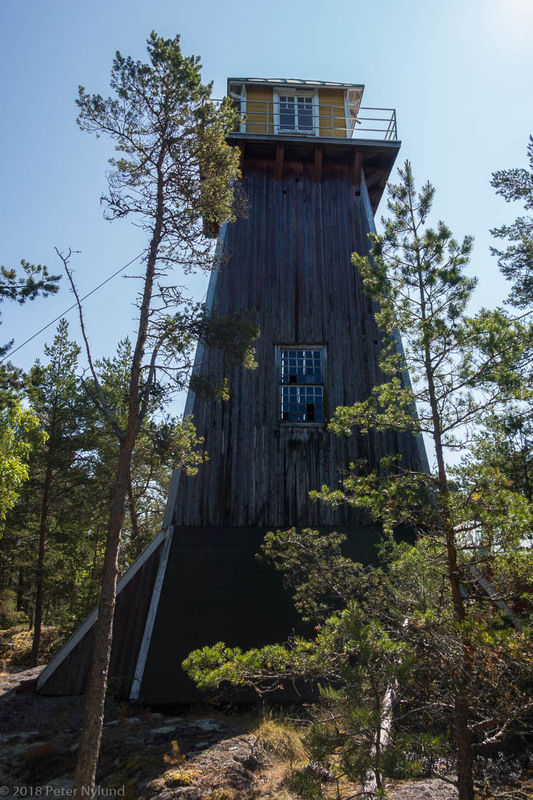 After Sweden lost Finland to Russia it was torn down, but was soon built up again The current one was built in 1857 and is 19.9 m high. 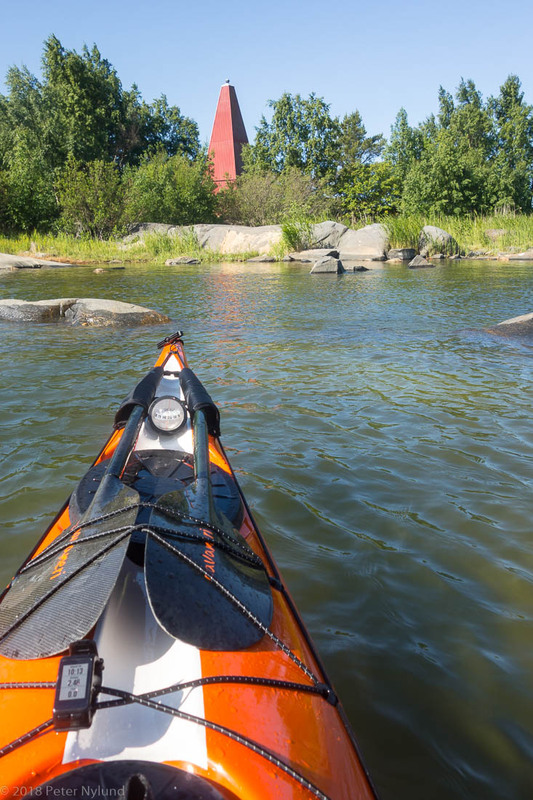 Source: Suomen majakat, Seppo Laurell. Now to the more interesting ones, the mystery daymarks a bit to the south. The sea chart has two daymarks marked there, but I hadn't found any information about them earlier. I have three thick books about lighthouses in Finland, but they were not mentioned there, nor on any other lists. 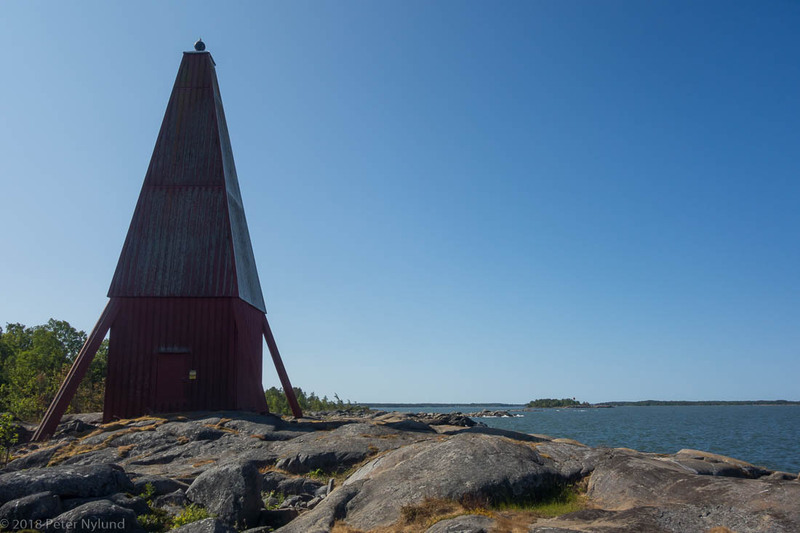 Eva-Lotta, who has visited all Finnish lighthouses and daymark, mentioned them in her blog, but hadn't found any information about them. Thus a visit there was even more interesting. 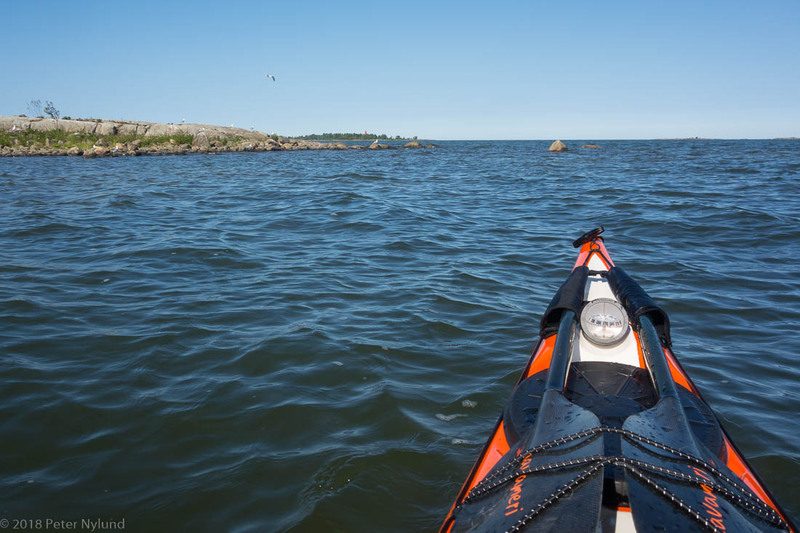 I paddled southwest from the Torngrund daymark, finally getting some real waves in my Skim Beaufort, since the place is completely open almost all the way between southwest and north, I approached the more southern one from west and immediately saw that it was something special. I landed a took a closer look. There were some old buildings nearby, indicating that there would have been more activity there at some point. I then continued paddling to check out the other daymark. 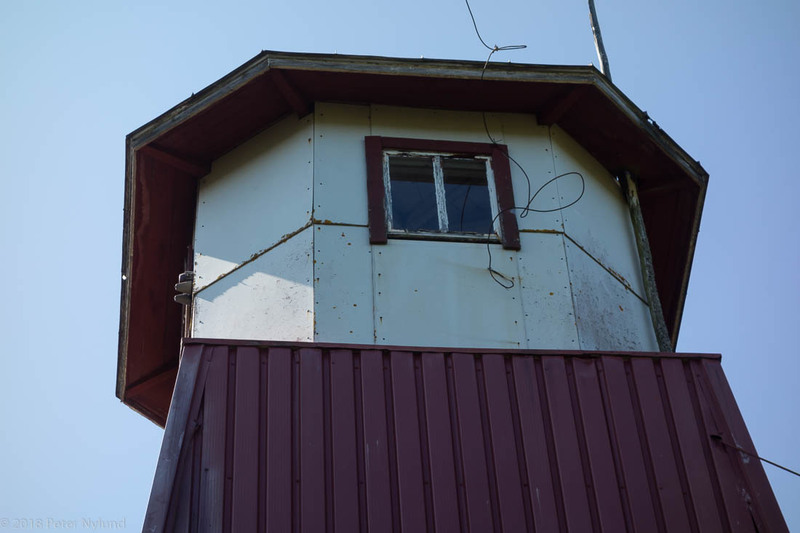 Looking at it from east, a building that in looked like a pilot or coast guard building was positioned nearby. Again I landed and took a closer look. With this new information, a good look at the buildings, I did some more searches when back home and managed to find something. 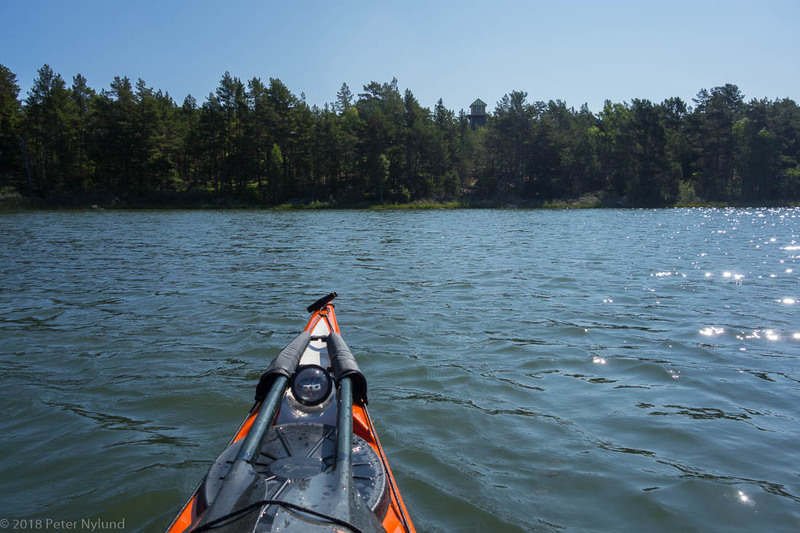 While they now are on the same island, there were previously two different islands, due to the postglacial land uplift, which in this region is about 70 cm / 100 years. 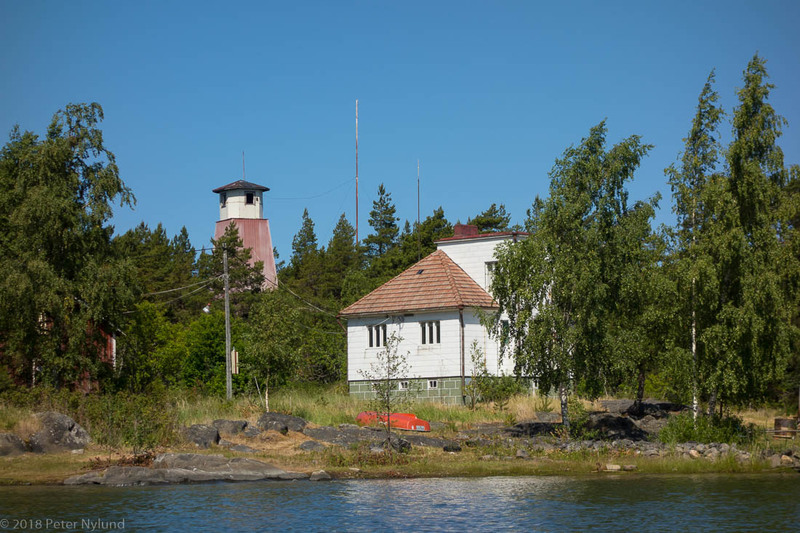 The southern tower belonged to the Kummelgrund coast guard station and the northern tower to the pilot station of Högklubb. A lot more information is found in Swedish here.